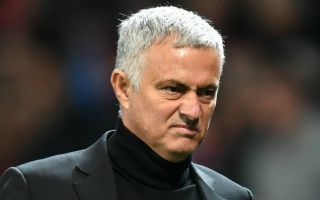 Manchester United legend Nemanja Vidic aimed a brutal dig the way of manager Jose Mourinho as he revealed his ambitions to coach the club one day. The Serbian is regarded as one of the finest defenders in United’s history, having played a major role in some of the team’s success in the latter period of the Sir Alex Ferguson era. Vidic admitted in his punditry for beIN Sports that he’d like to be United manager one day, and also sounded thoroughly unimpressed with the way the team is playing under Mourinho. While there’s no shame in a defeat to Manchester City as United suffered today, one has to question how a team with this many big-name players and big-money signings could only manage one shot on target in the whole match, which was Anthony Martial’s converted penalty. Vidic said this team does not play like the old Man Utd, but Mourinho’s United, and suggested this would have been clear to everyone from when he took over the club.